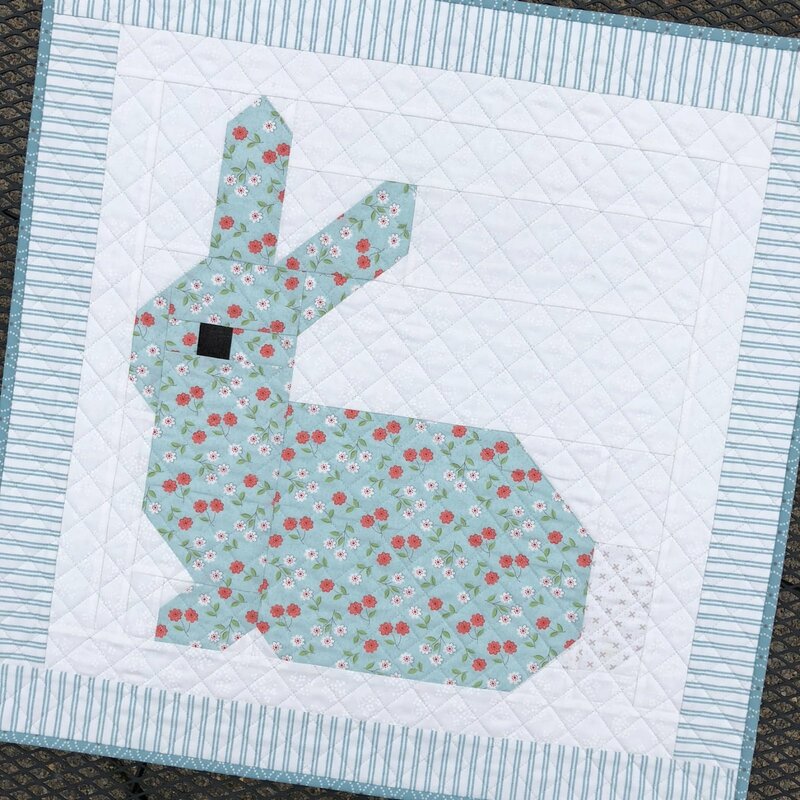 Little Cottontail is a darling little Bunny wallhanging. Perfect for spring, easter or a sweet little babies room! The fabrics are mostly from the Nest fabric line by Lella Boutique. The kit includes all the fabrics for the top, backing and binding along with the pattern. Did you see the other color version? You can see it HERE.